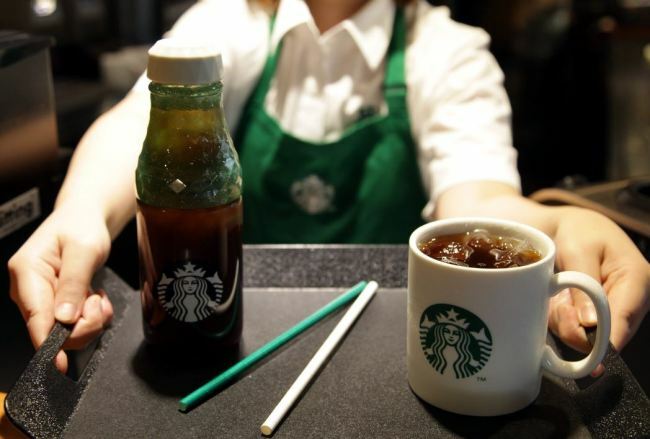 Starbucks Korea is testing out the use of paper straws at some 100 stores across Seoul, Busan and Jeju, the company said Monday. The two-month-long trial is part of the global coffeehouse chain’s plan to phase out plastic straws and reduce the negative impact on the environment. After gathering consumer feedback through the test run, paper straws will be introduced at all its stores in November, the company said. For the first two weeks starting from Monday, Starbucks Korea will provide green paper straws. White paper straws will be provided in the following two weeks. Both straws have received food safety approval from the United States and South Korea. Starbucks Korea currently provides five different types of straws depending on the beverage type. It will firstly provide paper straws for cold drinks before expanding this to other types of beverages. Plastic straws and stirrers will be removed from stores. Instead, it will offer wooden stirrers to replace the plastic ones, it added. The company said it expects the measures to eliminate more than 1 billion plastic straws per year from all of its stores here.